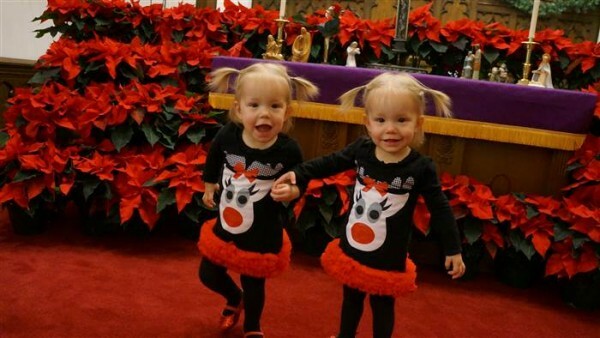 Nothing is stronger than the bond shared by twins and these two adorable sisters are proving to the world that this is certainly the case. Twin sisters Jenna and Jillian shocked their parents and doctors by coming out of the womb holding hands (and refusing to let go). Two years on and the beautiful blonde toddlers are still joined at the hand and their bond is as strong as ever. We all know how important the power of touch truly is. We’ve covered stories of twins holding hands in the womb (grab the tissues for that one) as well as how touch can help premature infants. 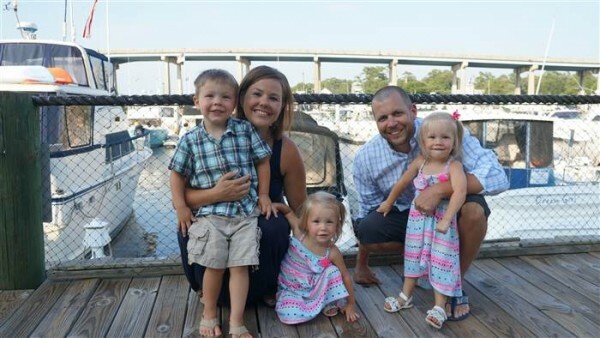 But none of these stories demonstrate this notion quite like that of Jenna and Jillian Thistlethwaite, the two toddlers from Ohio, USA who stunned the world when they were born holding hands. And the now-pig-tailed duo are still tackling the world hand in hand. Born at 33 weeks gestation on 9 May 2014, Jenna and Jillian’s birth was part of a Mother’s Day special and thus a media crew was there for the big event. However, no one expected to capture what they did. Born 48 seconds apart via c-section, the girls were immediately brought together, which is when one grabbed the other’s hand. Mum Sarah Thistlethwaite recalls the day to Today. “I heard Dr. Wolfe say, ‘Oh my gosh, they’re holding hands,’ and then Dr. Manacuso was like, ‘Hold them up so mum can see them’,” she says. Jenna and Jillian are monoamniotic or “mono-mono” twins which means they shared the same amniotic sac. And while there is a high risk of complications, Jenna and Jillian were born happy, healthy and ready to take on the world as a team. 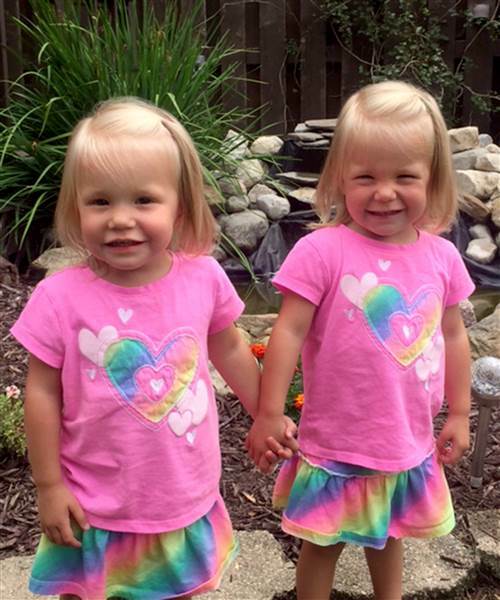 From baby besties to toddler teammates, Jenna and Jillian continue to share this special bond, with one twin crying when the other leaves the room. “Honestly, splitting them up, or doing anything with those two separately will make them cry. They don’t want to be away from each other. They need each other, they’re there for each other and they’ve got such an attachment,” Sarah explains. 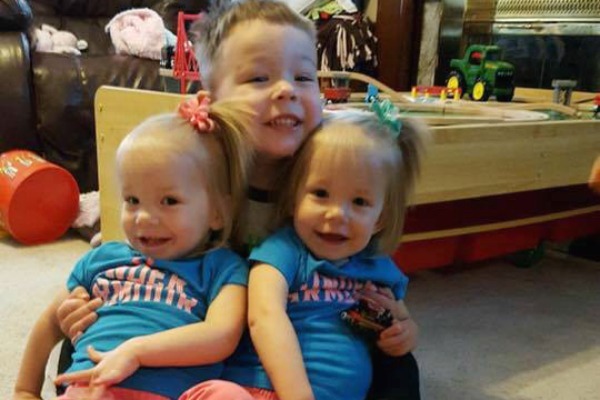 Jenna and Jillian, who also have an older brother, Jaxon, are typical two-year-olds with no health problems. They are almost indistinguishable from one another apart from the fact Jillian has a small blue vein that cuts across her nose. These two little girls have a lifetime of exploration to do and we sure hope their bond remains just as strong in the years of adventures to come! 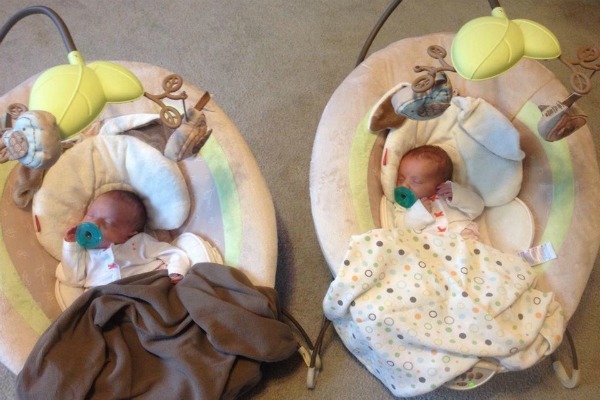 Check out our multiple birth archive for more stories from families with twins, triplets, quadruplets, quintuplets and even sextuplets.